Driving Your Friend to Court Appearances Protects Your Bail Investment. Are you thinking about posting bail for a friend that’s recently been arrested? While supporting your friend is a noble, compassionate goal, we want to help you by making sure you’re familiar with the process and aware of the risks. When you decide to post bail, follow these three steps to help your friend and protect yourself. What was the nature of your friend’s suspected crime? Was your friend accused of a misdemeanor or a felony violation? While the bondsmen now make the bail process much more affordable, some felony crimes can still be very expensive. Make sure you can cover the full price of bail before making a commitment to your friend. 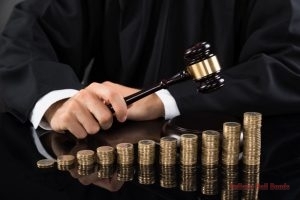 For more expensive bail prices, you may be forced to use valuables or property as collateral. While your gut reaction may be to immediately bail out your friend, you need to consider whether or not your friend will be able and willing to make their court appearance on time. If you can’t answer that question, or if you know your friend may be a flight risk, do not agree to post bail for them. If your friend does not appear on their scheduled court date, you could be responsible for paying the full price of bail. Once you’ve agreed to pay bail for your friend, show support by driving them (or arranging a ride) for each of their court appearances. By ensuring your friend arrives on time to their scheduled court hearings, you’ll provide valuable comfort for them and minimize your personal risk. Follow these steps, and you’ll be able to protect yourself when posting bail and help your friend in their time of need. For more information on the bail process or to find a bail bondsman near you, talk to one of our experts at317-423-9300. Posted in Uncategorized on April 27, 2018 at 11:59 am by Indiana Bail Bonds.